Triple Package! Control Sebum! Remove dead skin cells! Tighten Pores! PERFECT FORMULA FOR PORE-TIGHTENING - Use the facial toner along with pore-perfecting program’s clay mask, serum and ample from isoi to perfectly reduce the appearance of pores. This program will give you a perfect solution for long-lasting poreless skin. Start with facial essence to gently shed dead skin cell. Your face will become more receptive to facial serum, cream, and ampoule! EFFECTIVE TREATMENT TONER AT CLEARING OUT & TIGHTENING PORES - For effective pore treatment, it's important to know exactly the root cause. isoi's Bulgarian Rose Pore tightening Toner is specialized into fundamental pore treatment by using certified natural ingredients (Apple cider vinegar, Lemon Juice, Rose Water, Scutellaria baicalensis). These will deeply penetrate into the pores and minimize its appearance. GUARANTEED TREATMENT BY AUTHORIZED INSTITUTIONS - For credible pore treatment, it's important to know it is guaranteed by authorized institutions. 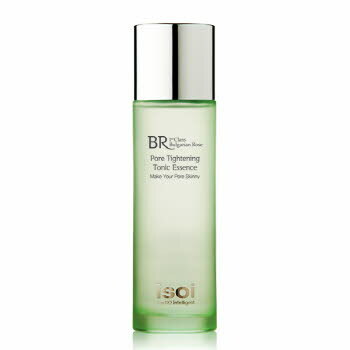 isoi's Bulgarian Rose Pore tightening Toner is verified by EWG & Dermatests through thorough clinical demonstrations. We are only using certified natural ingredients (Apple cider vinegar, Lemon Juice, Rose Water, Scutellaria baicalensis) These will deeply penetrate into pores for removing pores without causing any skin irritation. PERFECT BALANCE OF HYDRATION OF MOISTURIZATION - If you are looking for a toner that can drive moisturization for sebum treatment, isoi's organic rose water skincare products can be a perfect solution for you. These skin-friendly ingredients quickly penetrate into your skin, resulting in a healthy glow and appearance of hydrates. Use this refreshing toner after cleansing to revitalize skin during the day. This ultra toner creates healthy and glowing skin anywhere, anytime! Wet a cotton pad with the Tonic Essence and gently rub over face.